A Thai official dressed in a traditional costume greets Thailand's Crown Prince Maha Vajiralongkorn (L) and Royal Consort Princess Srirasmi during an annual royal ploughing ceremony in Bangkok. 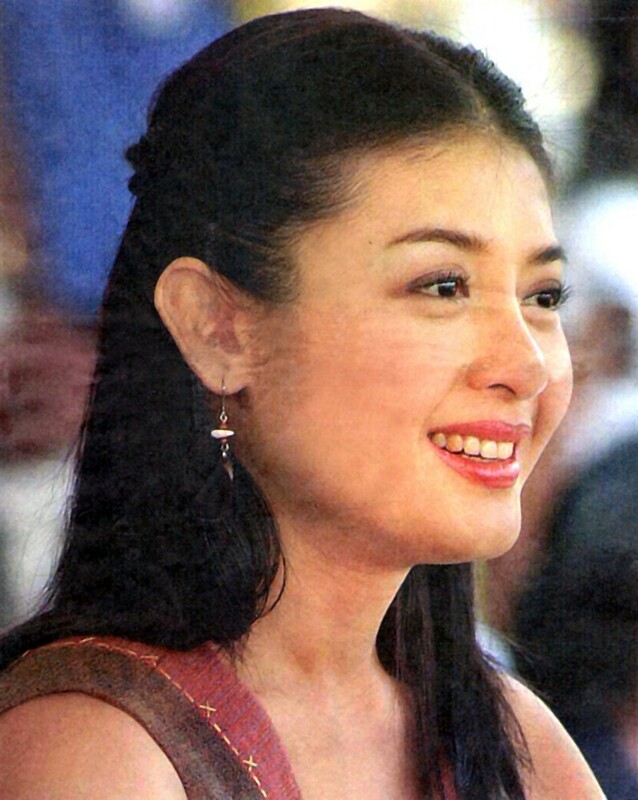 BANGKOK - Thai police said the chief suspect in a high-profile corruption scandal is the uncle of Princess Srirasmi, who is married to Thailand's heir apparent, Crown Prince Vajiralongkorn. Pongpat is the princess's uncle on her mother's side, said Lieutenant General Prawut Thawornsiri, spokesman for the police and acting CIB commissioner. "The ex-CIB chief is the princess's uncle. 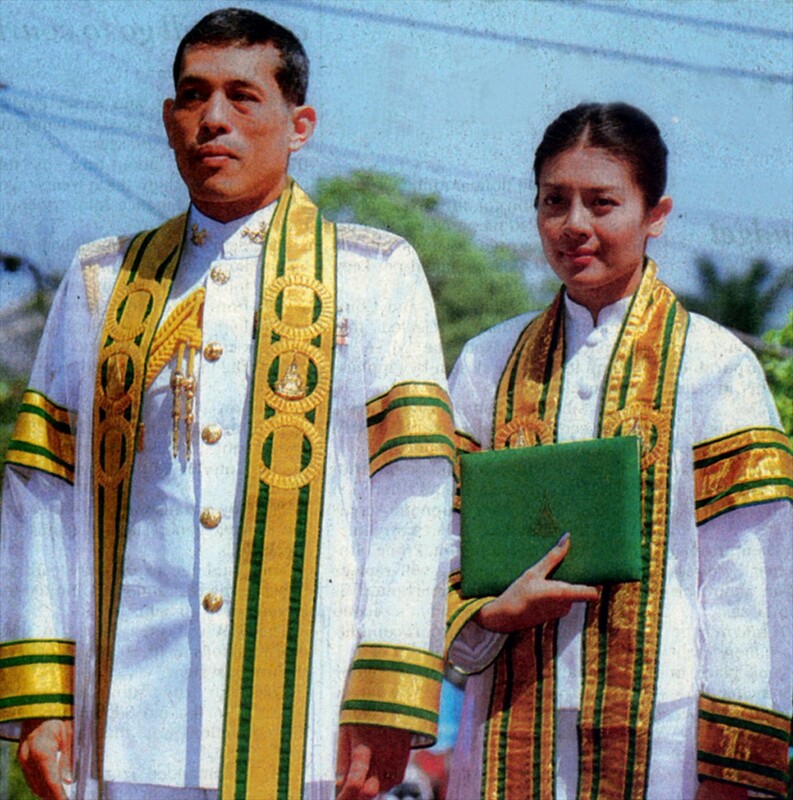 The princess is his niece," Prawut told Reuters. Thailand's crown prince has revoked the royally-assigned family name of his wife, following the arrest of several of her relatives in a high-profile corruption case. News about the monarchy is heavily filtered by the palace, and under the lèse-majesté laws, the world's harshest, anything deemed an insult or a threat to the monarchy is punishable by up to 15 years in prison. 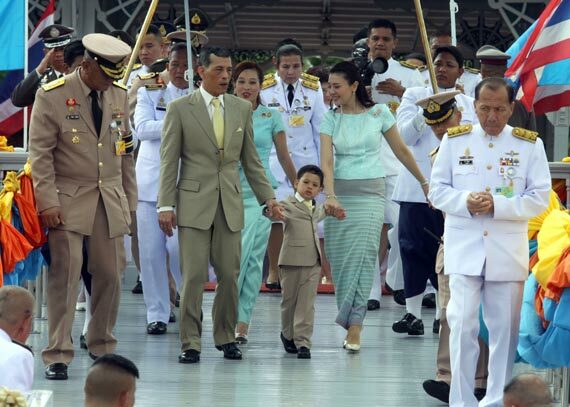 The office of Crown Prince Maha Vajiralongkorn, 62, issued a statement on Friday ordering the Interior Ministry to strip the family of Princess Srirasmi, 42, of the royal-appointed surname Akharaphongpreecha. "Individuals using the royal-appointed last name must change back to their old family name," the office said in the statement. 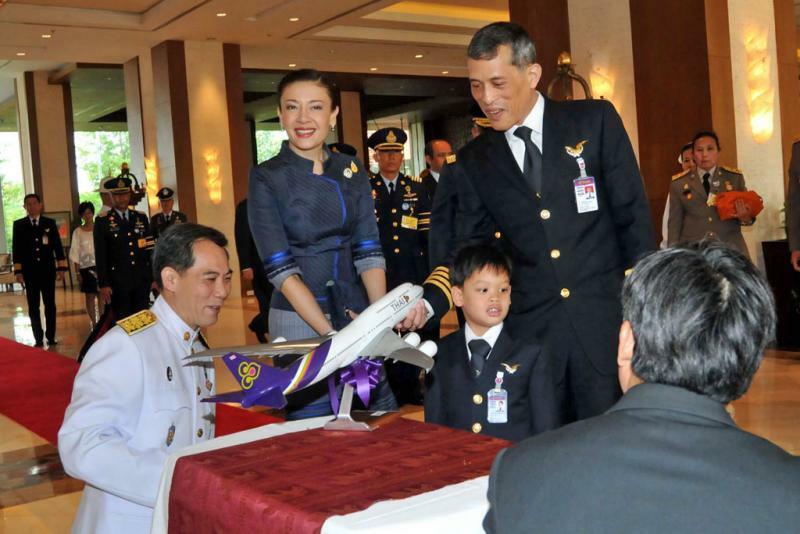 Crown Prince Maha Vajiralongkorn is the first in line for the Thai throne. 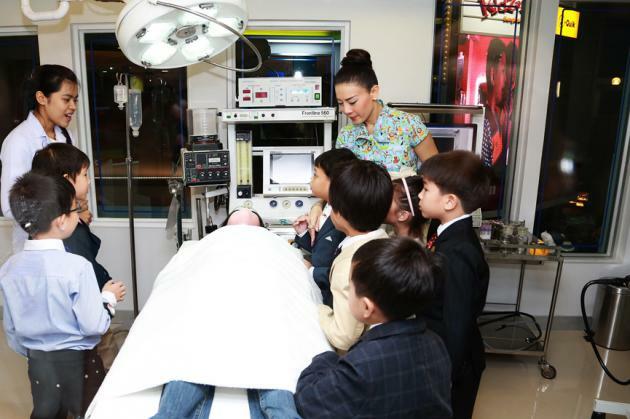 His father, King Bhumibol Adulyadej, who is widely revered by Thais, is 86. 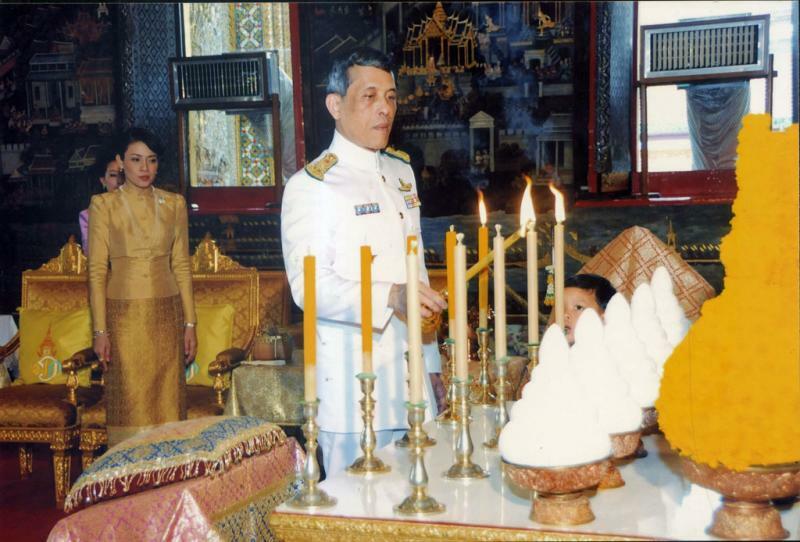 The Thai monarchy can bestow honorary names to families in return for service under a 1915 law. 3 people with the Akharaphongpreecha name were among 19 arrested in a crackdown on alleged police corruption this month. Raids netted tens of millions of dollars in assets. Among those arrested was Police Lieutenant General Pongpat Chayaphan, a former head of Thailand's Central Investigation Bureau. Police said an arrest warrant had been issued for Nopporn, who is wanted for extortion, lese-majeste and other charges. His whereabouts are not known. "Nobody in this company knows where he is, what he's doing or what all of this is about," Aman Lakhaney, a director of Wind Energy Holding, told Reuters.